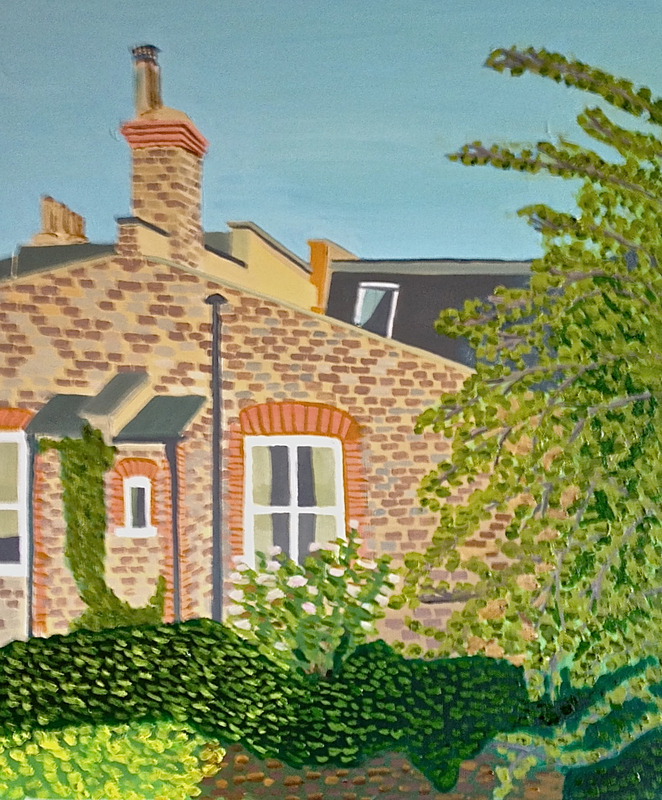 This is quite a big oil on canvas I have been working on sporadically for the last few weeks, the view from the back window of my childhood home. It’s a view I very much associate with Fulham, where the terraced houses create mini ecosystems of adjoining back gardens surrounded by buildings, almost like tiny Central Parks. The houses were built around the turn of the 20th Century and are called ‘Lion Houses’ as they each have little stone lions on top. It proved a bit of a challenge, because as summer transitioned into Autumn the foliage kept changing, but I have tried to keep it as a late Summer scene. 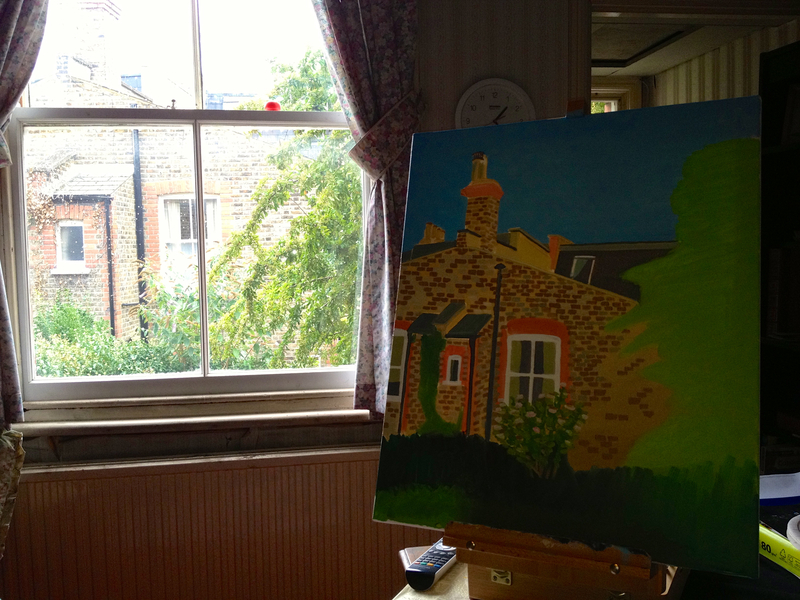 Here you can see it at an earlier stage alongside the view out of the window. 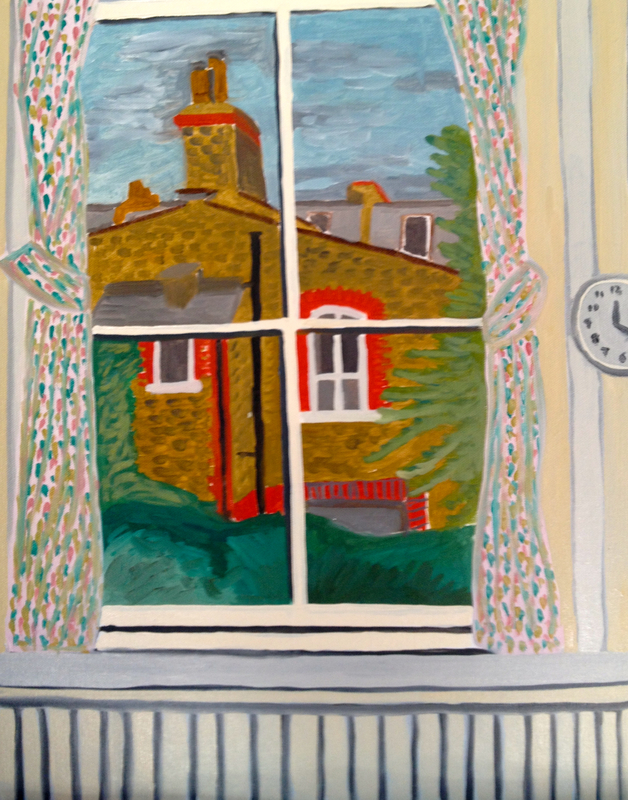 Meanwhile here is a similar earlier view I did, this time including the window and foreground over Christmas. This is oil paint on a board, only my fourth ever oil painting.